Welcome to 73 Howard Rd. - This exceptionally renovated and meticulously maintained 3 Bedroom Home with detached garage is in a Wonderful Neighbourhood just steps away from Walking Trails, Shopping, Restaurants, Public Transit, 404 Hwy, Southlake Hospital, and Great Schools. Newly Renovated throughout and freshly painted, this home is truly turn key. The Kitchen has plenty of counter space and cabinetry and contains newer Stainless Steel Appliances including a stove, Fridge, Built in Dishwasher, and Microwave Range Rood. The Kitchen overlooks the backyard and has a pantry to store everything you need. The spacious Dining room also overlooks the backyard and has a large Bay Window to enjoy the view. The Dining room leads into the Living room with another large Bay Window, a Built in Electric Fireplace with stone feature, and Built in wall unit. The Office on the main floor or 3rd Bedroom allows for single floor living if need be. The Large finished basement is open concept and contains a lot of space to set up the perfect Rec Room with new Laminate flooring throughout and 5 above grade Windows that allow a lot of light into this space. The Huge 60 feet by 200 Feet lot is beautifully landscaped with mature trees for added shade and privacy and a large 38 feet by 24 feet patio. On the Patio sits a wooden deck with built in lighting for entertaining or just enjoying the view of the backyard. There’s an additional wooden deck with a Hot Tub (as is) covered by a pergola. The well-built Concrete detached Garage has a work bench and Windows for natural light to get in. Please exclude Wood burning stove in the garage. There are 2 additional Garden Sheds for storage or a second work shop. Brand New furnace just installed, Air Conditioning, Two 100 AMP electrical panels, Clothes Washer and Dryer, Hot Water Heater is a rental, Water Softener and Water Conditioning System (as is). TV Brackets in the Living room and bedroom can stay. All Electric Light Fixtures and upgraded Window Coverings are included. This is a must see. Just move in and Enjoy! Welcome To 73 Howard Rd. - This Exceptionally Renovated And Meticulously Maintained 3 Bedroom Home With Detached Garage Is In A Wonderful Neighbourhood Just Steps Away From Walking Trails, Shopping, Restaurants, Public Transit, 404 Hwy, Southlake Hospital, And Great Schools. Newly Renovated Throughout And Freshly Painted. The Huge 200 Foot Deep Lot Is Beautifully Landscaped With Mature Trees And A Large Patio And Deck Out Back. Move In And Enjoy! 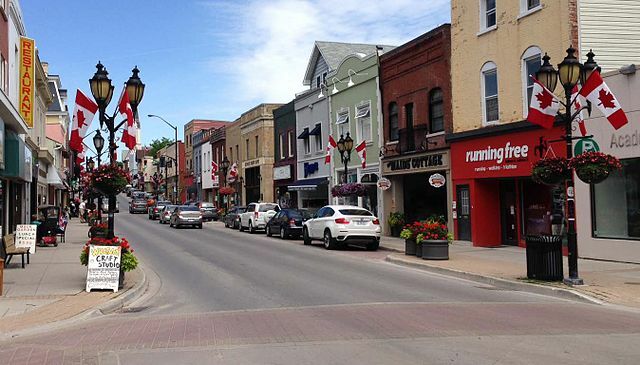 In 2013, MoneySense magazine ranked Newmarket as the fourth top small city in Canada, and it’s not hard to see why. Newmarket is ideally located midway between downtown Toronto and Barrie, making it perfect for commuters looking for easy access to either city, and an attractive alternative to Toronto for businesses and residents. 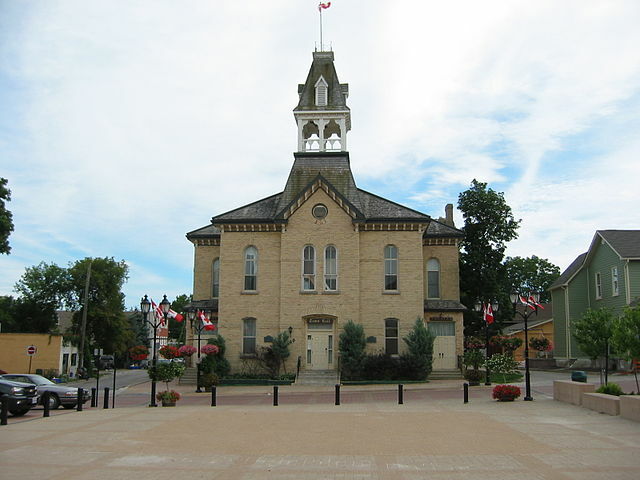 Newmarket has great small town charm with all of the conveniences you would expect of a big city. Main street Newmarket is a truly unique experience found in the heart of Newmarket. The street is styled with early 1800s architecture and streetlights, and is adorned with custom grown flower barrels, providing a beautiful and vibrant setting. Shop at local boutiques, dine at several patio eateries, find fresh produce at the seasonal farmer’s market, or participate in the many recreational, cultural and arts activities. As one of the largest shopping centres in Canada, this mall is home to over 250 stores across over one million square feet. The mall provides a premiere shopping experience to residents of Newmarket with a wide variety of stores, making it a fantastic alternative to travelling to the big city. From dozens of specialty stores to all of the major brands and outlets, there really isn’t much you can’t find at Upper Canada Mall. During its early years, Newmarket was mostly an agricultural community, yet it was also home to a busy centre of commerce and small industry. It was incorporated as a village in 1857 with a population of seven hundred and has grown quickly ever since. Newmarket became a town in 1880 with a population of over two thousand. William Cane was elected as the first mayor of Newmarket, who owned a factory that would eventually become the first in Canada to manufacture lead pencils. After the second world war, Newmarket experienced major growth and expansion. New subdivisions were rapidly developed, and by 1970, the population of Newmarket more than doubled to eleven thousand residents. This museum focused on educating the public and preserving the rich history of Newmarket, from its first days as an agricultural settlement to the present day. The museum offers free admission and hosts school group programs covering topics ranging from pioneer living, traditional games and songs to local government history. The museum also presents annual holiday celebrations on Christmas, Easter and Halloween. A community beyond the ordinary. Newmarket provides its residents with resources to participate in a variety of activities. Something for the whole family, including swimming, skating, fitness, exercise, dance, arts and crafts, sports, day camps, theatre, special events and much more. Newmarket promotes a dynamic, active and healthy community, providing programs, services and amenities for all stages of life. With over 70 parks, and recreation centres, the town is great for those with an active lifestyle and for those who love the outdoors. This facility features two arenas and a large indoor pool, as well as several lounges and rooms that are available for rental, along with spectator seating, snack bars and change room facilities. Outside the facility, there is a football field, multiple soccer fields and baseball diamonds, making this recreation complex an ideal venue for community events, sports tournaments and more. The Magna Centre is one of the premiere recreation facilities in Ontario. Opened in 2007, this state-of-the-art complex features four arenas, two pools, a full sized gym, walking track, three multi-purpose rooms, a pro shop and a restaurant.